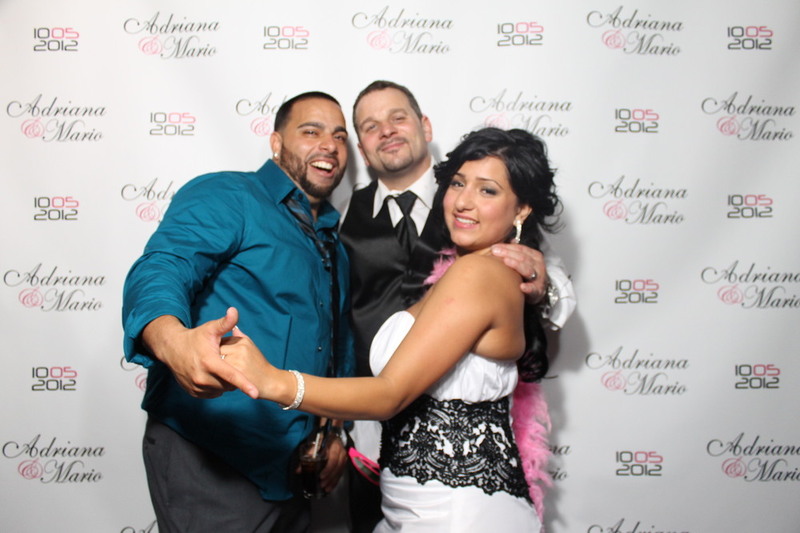 Adriana and Mario were married on October 5th and had their wedding reception at The Grand Marquis in Old Bridge, NJ. 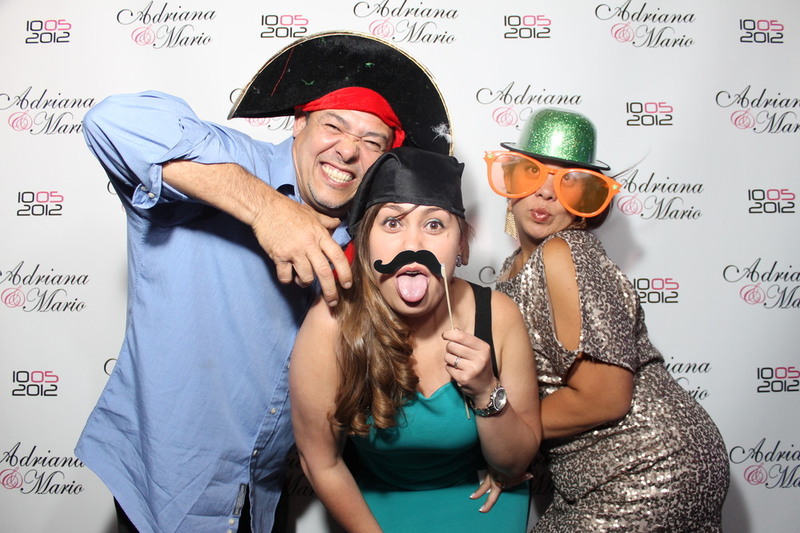 They worked closely with their SCE event host Jeff Scott Gould to create an awesome entertainment package. Their package included reception and cocktail hour music, Intelligent Lighting, Uplighting, Custom Audio Production, Multi Media, Drapery, Monogram Projection, SCE’s Black Light Show, and of course Snapshot’s Celebrity Package Photo Booth, used with a custom step and repeat. 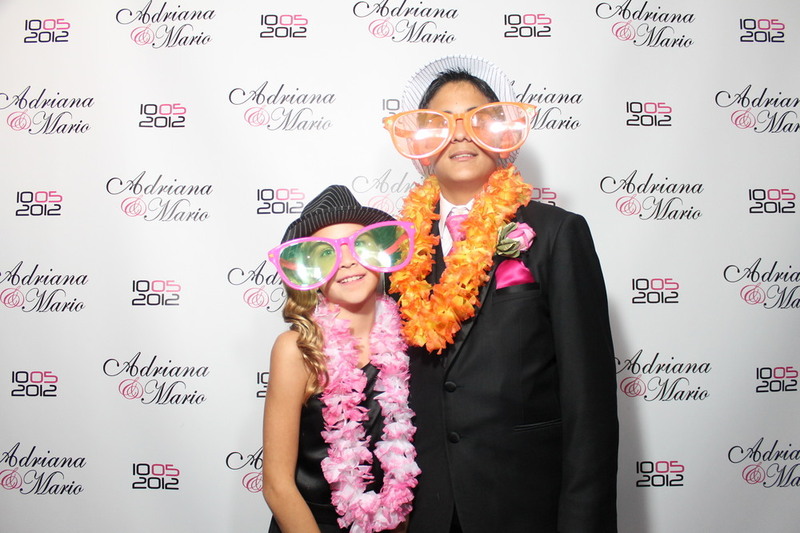 Their Custom Step and Repeat is usually combined with our Open Air Photo Booth, which is a booth and a back- drop customized by you. 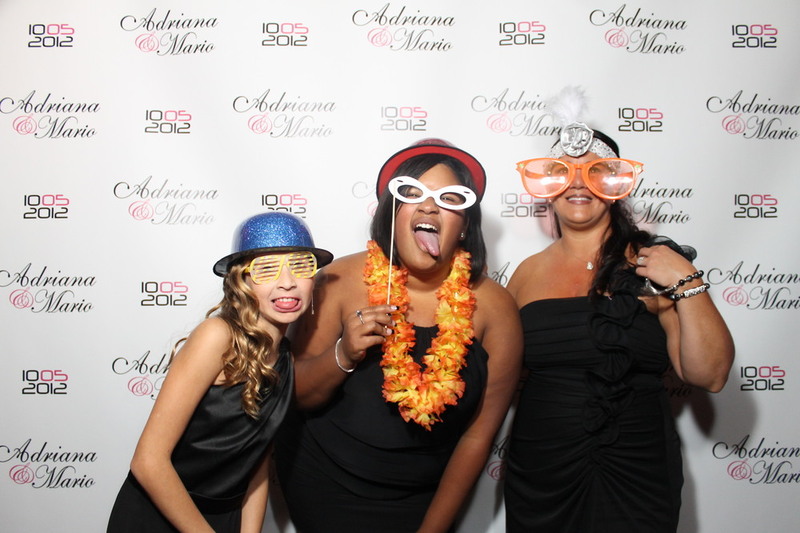 It’s gives your guests’ that “I’m So Hollywood” feeling, and it’s just like the red carpet you see on TV, so your guests’ can strike a pose and smile for the camera all night long! Speaking of feeling famous...reception and cocktail hour music was not the only music SCE provided this happy couple. 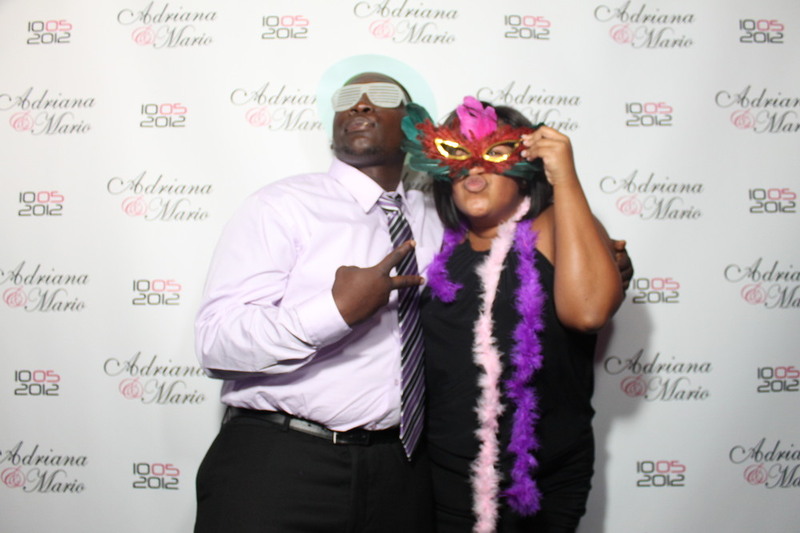 Once again, TKA surprised another bride and groom! You probably know some of their songs, with hits entitled “Maria” and “Louder than Love”? 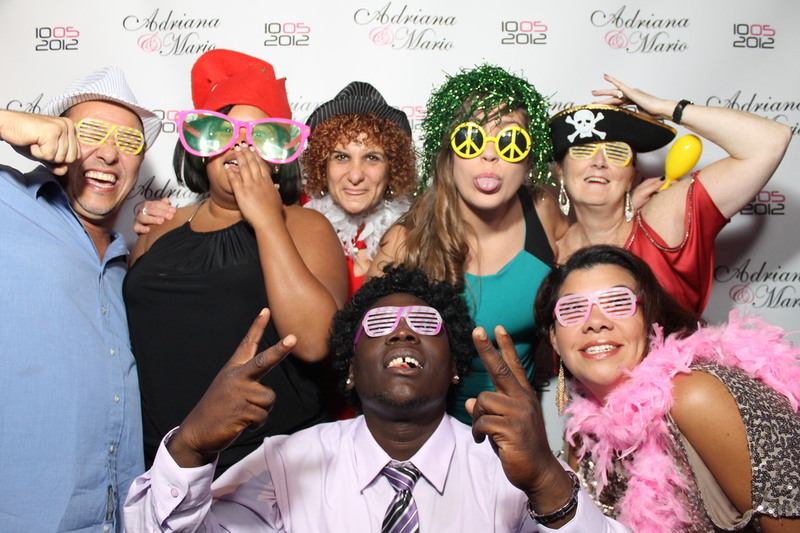 On another note, it was another awesome wedding, with another surprised bride and groom, and that’s how we do it SCE style! Be sure to ask us about Celebrity Appearances, because we are just as excited as you are, to have the benefit to work and see such talented artists’ perform! 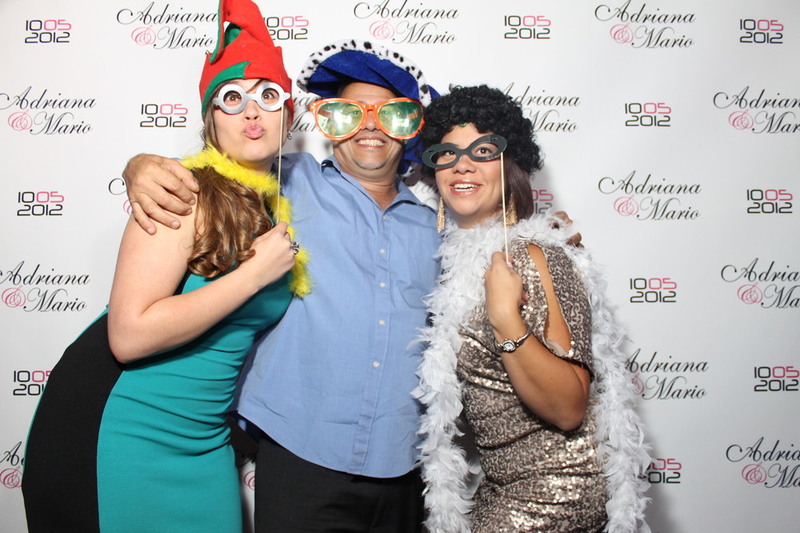 Snapshot photo booths are great for any event, and we cannot tell you enough how guests’ rave about our scrapbook! The fact that it’s created and finished the night of your event really blows people away. We often hear, “Why didn’t I think of this?” and “This is such a great idea!”. In addition to giving your guests’ unlimited time in the booth at your event, don’t forget to check out our L-shaped and magnetic frames. They make great favors, and it gives your guests’ an easy way to display the photo strip at their home. 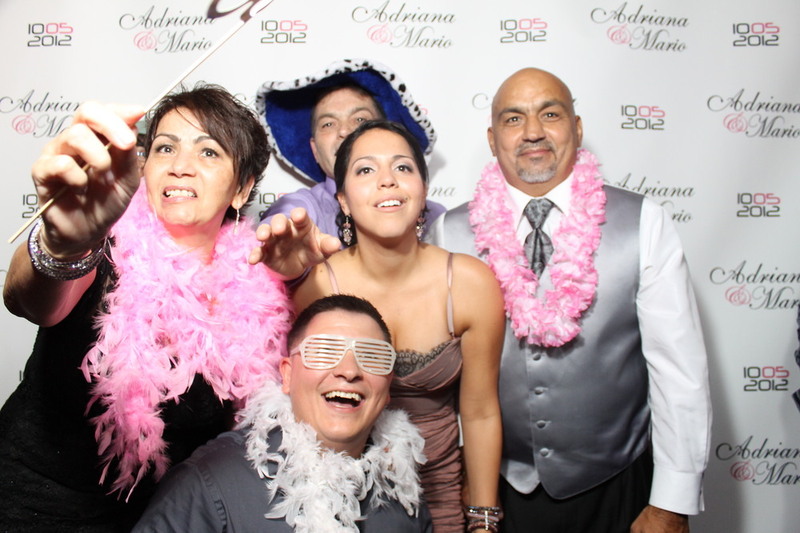 Don’t forget to check out our monthly photo booth specials at snapshotphotobooths.com, and also on wedding wire for recent reviews. Older PostSnapshot rocks The Ashford Estate with Jason Jani!